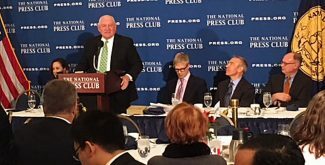 Agriculture Secretary Sonny Perdue speaks at the National Press Club in Washington on Dec. 12. Agriculture Secretary Sonny Perdue said participation in the Supplemental Nutrition Assistance Program should be temporary, but he still expects reauthorization of SNAP, formerly known as food stamps, to continue to be part of the farm bill. Perdue recently said the U.S. Department of Agriculture will allow states more flexibility in administration of SNAP, and had granted a waiver allowing Arizona to require participants to meet with an official if they ask for more than two replacement electronic benefit cards within one year. 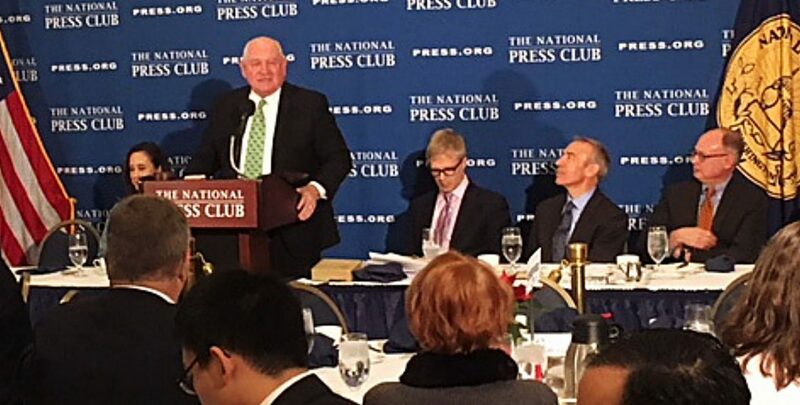 Asked after a wide-ranging speech at a National Press Club luncheon what might happen with SNAP in the Trump administration's planned top-to-bottom review of welfare programs, Perdue said that would be "speculative to think about." The congressional coalition that has passed farm bills "will be sustained," Perdue said. But he added a reading of the original food stamp legislation said the benefits should be temporary and supplemental, and should lead to self-reliance. Most people don't believe being on SNAP benefits "should be a permanent liefestyle," Perdue said. The secretary repeated previous statements that people categorized as "able-bodied adults without dependents" or "ABAWDs" should not be able to stay on the program continually, and the next farm bill should forbid that. Limiting access for this group of people is bipartisan, he said, and would not be "totally disruptive." But anti-hunger advocates note that the number of ABAWDs on SNAP compared with the overall group of participants is small, and that the law already limits their participation. They also say the classification is faulty because there are people, including homeless veterans, who are considered able but really are not. Asked whether he would grant waivers to states that ask to limit the use of SNAP benefits to buy sodas and snacks, Perdue acknowledged he has received "a couple" of waiver requests to limit sugary drinks and salty snacks already, but asked "where do you draw the line?" if a state proposes not allowing the purchase of meat protein or foods containing genetically modified ingredients, eggs that do not come from cage-free hens, or meat that has not been produced in a way the critics consider humane. "That is a slippery slope we will have to consider carefully," he said. Perdue said he believes an agreement will be reached on renegotiating the North American Free Trade Agreement, and he has faith in President Donald Trump as a negotiator. Asked why he is getting along better with Trump than some other cabinet officers, Perdue joked "He loves me." But he added Trump is "an interesting person" who has a "forceful" public persona, but leaves open "a backdoor" to change his mind, as he did when he wrote a NAFTA withdrawal statement but was persuaded by Perdue's argument that this would hurt farmers who had voted for him. He said he does not think Trump wants a "sycophant" as agriculture secretary, but someone who will give him advice. Perdue said repeatedly that Congress writes the farm bill and USDA will be "consultants to the committees as they desire." Regarding the Renewable Fuel Standard, Perdue said Trump made a campaign commitment to maintain the RFS, but understands the oil industry's concern about high prices for Renewable Identification Numbers. 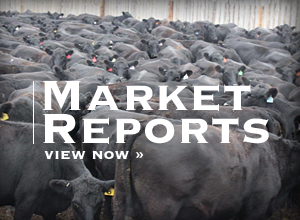 Perdue noted corn producers are not in ethanol production for the RIN prices, and said he will be working this week with Sen. Ted Cruz, R-Texas, and the Environmental Protection Agency to resolve the issue of RIN prices people in the oil industry "believe are very speculative." 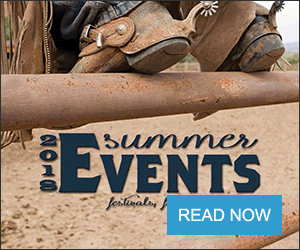 Perdue compared the farm bill safety net to the net under a high-wire act in a circus. If the net is too high, there is no excitement, but if it is too low people could get hurt too easily, he said. Asked what he would do with the budget savings from a decision not to allow farmers to buy high levels of coverage for prevented planting, Perdue disputed accountants who have estimated the budget savings at $1.4 billion over 10 years, but declined to comment on what he would do with the savings. The secretary said he is a big believer in providing funds to land-grant colleges for research and also for overseas agricultural development, but there is a "persuasion" issue at the Office of Management and Budget. Perdue said he believes that a large number of farm families are affected by opioid addiction, as reported jointly by the American Farm Bureau Federation and the National Farmers Union. He said he "charged" Anne Hazlett, his assistant for rural development, with developing a cooperative program to address the issue, not to "throw money" at the problem, but helping with rural treatment centers. Asked about finding a nominee for the position of agriculture undersecretary for research, education and economics now that Sam Clovis, a USDA adviser, has withdrawn from consideration, Perdue said he is looking nationwide for a strong candidate with a scientific background who will please the Senate Agriculture Committee. But he said many academics do not want to leave the safety of their positions. Regarding today's Senate election in Alabama, Perdue said he does not think the voters will be much concerned about opinions on the candidates from outside the state. There is not a lot of nationalization of races, he said, noting President Barack Obama won twice while Republicans won control of the House and Senate.